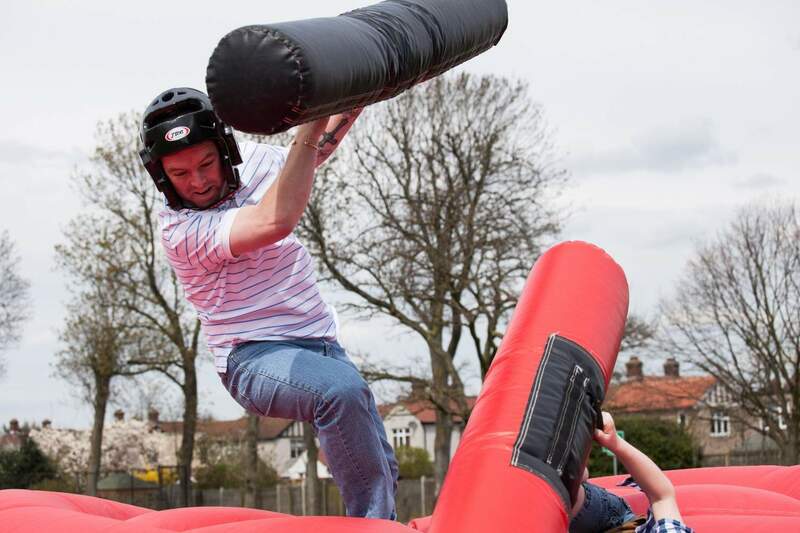 Take your place on the Rocking Gladiator Podium and battle it out with your opponent to see who can be the last one standing. 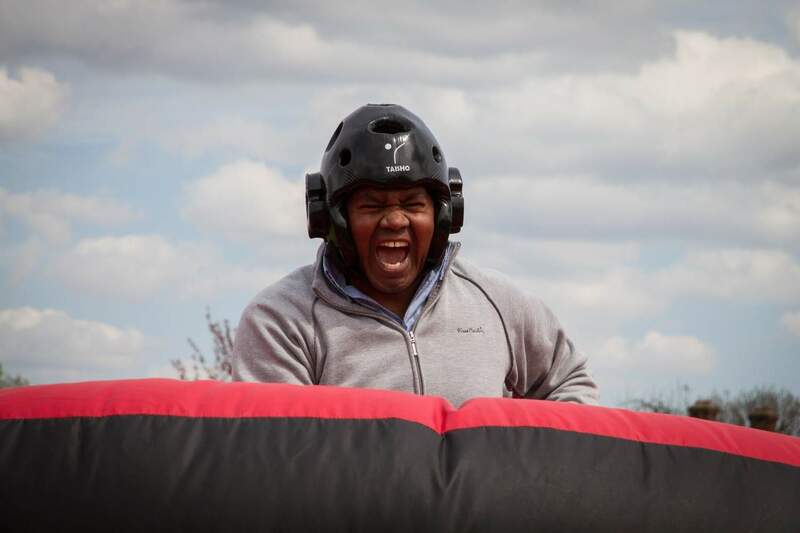 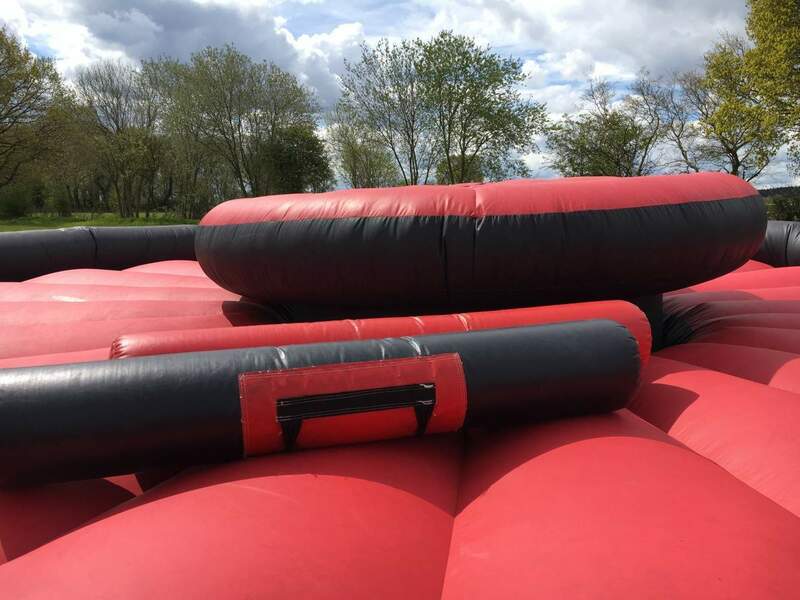 Contestants use foam pupil sticks to try to knock their opponent into the inflatable pit, but beware the Gladiator Podium will move with your every move so keep your balance at all times or it could be you that enters the pit! 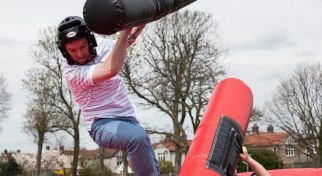 Why not make the Gladiator Joust a little bit different and provide guests with something extra. 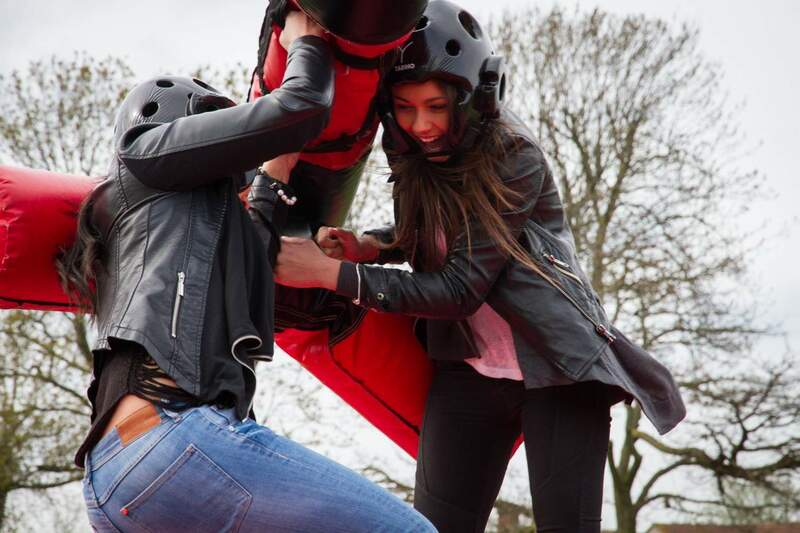 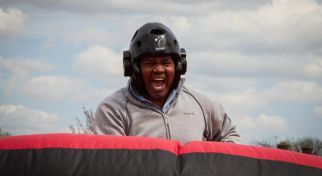 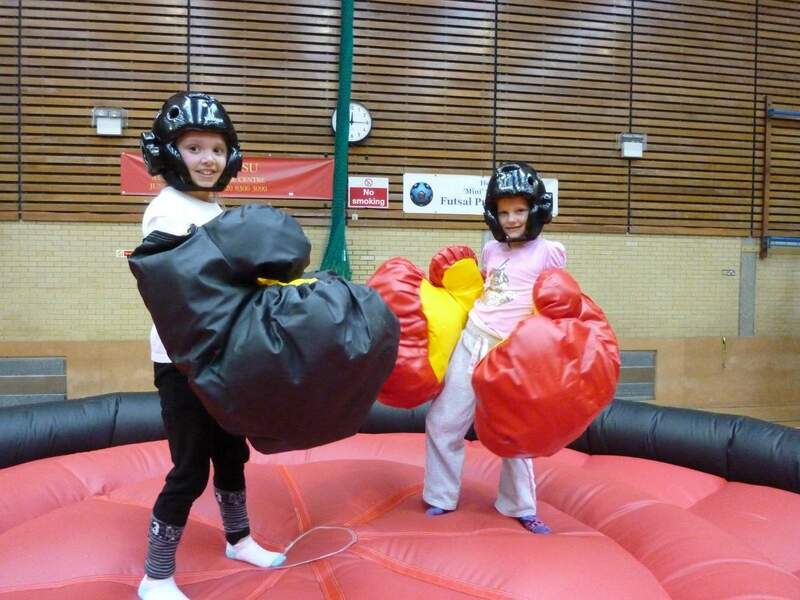 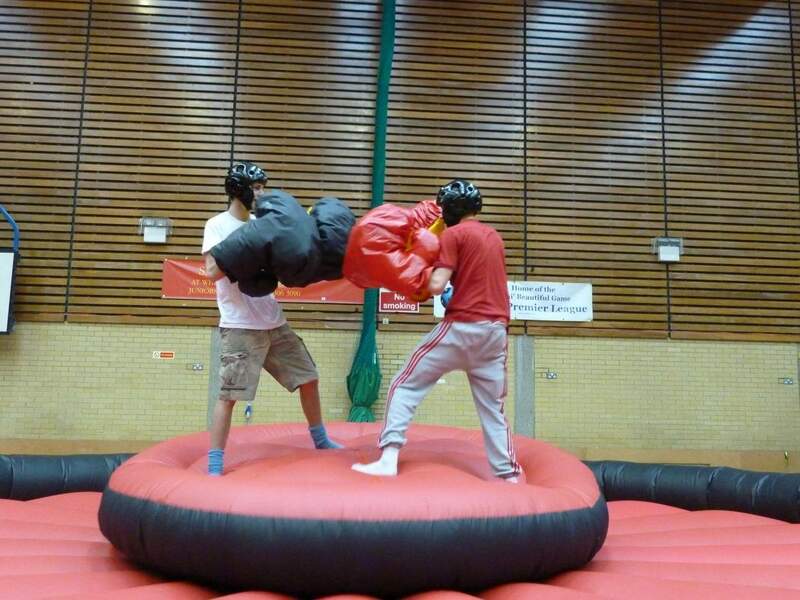 Add our oversized foam boxing gloves and turn the Gladiator Joust into Bouncy Boxing. 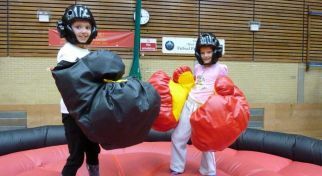 Give guests the choice and let them choose to battle it our with giant foam pupil sticks or giant foam boxing gloves. 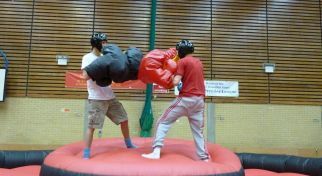 The Bouncy Boxing can be branded or customised for a specific brand, product or event theme, making it perfect for Marketing Events. 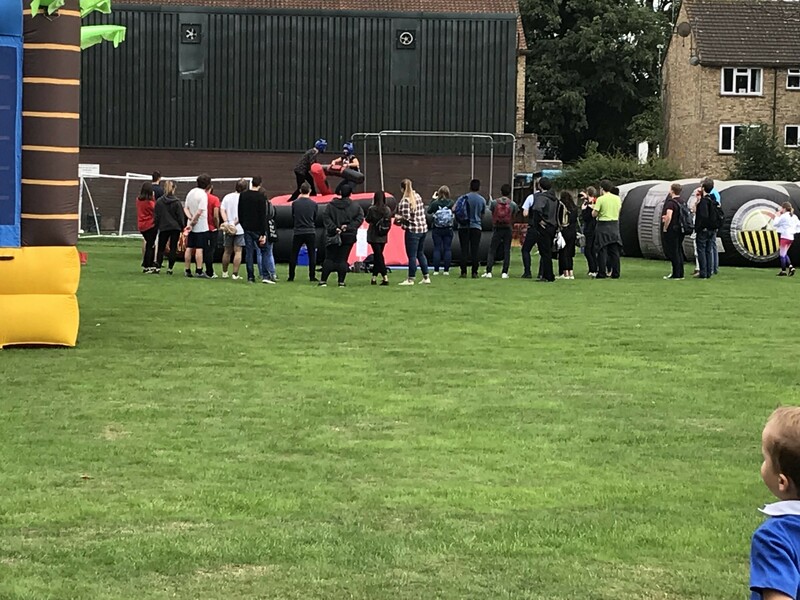 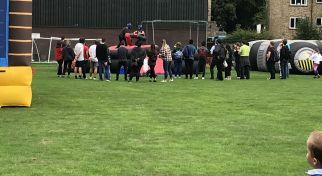 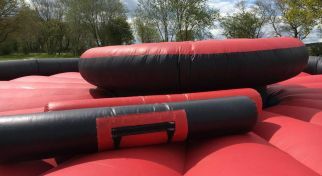 Xtreme Vortex are based on the borders of Kent and London and our activities are regularly hired for events across the South East and throughout the UK.